From horsetail cloth weaving to wire mesh weaving by 1 hands machine. 3 machines made of wood weaving by hands in family. 2 X03 automatic weaving machines in family. Add 2 two crimped wire mesh machines made of steel tube and wood by hands in family workshop. Add 2 X06 weaving machines in family workshop. Anping Xiangyi Wire Mesh factory established. 8 full automatic machines were working, add welded mesh roll machines 6 and 2 welded mesh panel machines, some of products were exported. Wire mesh products exported more than 75% via exporting trading company. 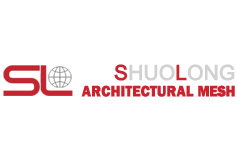 Hebei Shuolong Metal Products Co., Ltd established. After 2008 We export wire mesh products ourseves and become a professional wire mesh manufacture. Begin to cooperate with one of the biggest wire mesh company in the World -- Locker Group. Become the special supplier of all the wire mesh products for Chinese important project -- Handan Grand Theatre and Chinese leaders of laws -- Nan Dai He Hotel. Become the special wire mesh supplier of Chinese biggest decorative project company -- Gold Mantis. Become the supplier of wire mesh for 2014 APEC meeting center and Yanqi Hotel. 2015 Become the wire mesh supplier of Dubai Abu Dhabi Airport project and Singapore International Airport.